Our Twin Otter Vistaliner is the featured aircraft used on many of Scenic's tour options, but it is also available to charter on a tour of your own specifications. 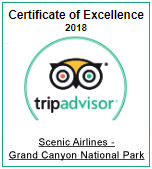 As the premiere experts on American Southwest tourism, Grand Canyon Scenic Airlines can design your exclusive chartered trip to the Grand Canyon, including flight arrangements and activity-planning. Your private party, incentive group, or company event will be a memorable and enjoyable experience. Your group will look forward to the next gathering when you host it onboard one of Scenic's Grand Canyon sightseeing tours. Transform your company retreat, family reunion, business meeting, wedding party, or any other event into an excursion throughout one of the country's most treasured landmarks. Whether you're interested in seeing the canyon from the window of an airplane or from the comfort of a motorcoach, Scenic's tours can accommodate your entire party. Together, your team will discover the sights of the magnificent Grand Canyon - from the gorges expanding as far as the eye can see to the Colorado River raging a mile below. Your experience will be forever commemorated when you pose for group photos against the remarkable backdrop of ancient striped rock walls. Return to Las Vegas after a long day of exploring with a workforce more connected or a family closer than ever. Grand Canyon Scenic Airlines is known best for its exhilarating aerial sightseeing tours over the Grand Canyon. Additionally, our touring equipment is also available to book for chartered flights throughout the Desert Southwest. In fact, we've been customizing and operating specialized airplane tours from Las Vegas and Grand Canyon National Park for all variety of clientele for decades. Whether you are hosting a business retreat, VIP incentive program, corporate event, or something more complex like an on-location shoot for a film or documentary, Scenic is prepared to get you there in style. Our equipment can accommodate groups of any size. 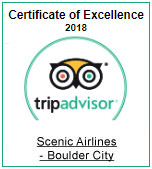 Aside from the magnificent Grand Canyon, Scenic will fly your party to a number of surrounding areas including Monument Valley, Flagstaff, Scottsdale, and Page in Arizona as well as Bryce Canyon and St. George in Utah. Our teams have incomparable expertise in itinerary development and will create a convenient travel plan for even the most logistically challenging trips.